Children under 4 go Free! This ticket can be used anytime during your holiday! When making your booking, please select the first day of your holiday as your booking date, as the ticket cannot be used before the date you specify. IMPORTANT: Please note that this ticket does not include entry to Costa Caribe Water Park. This ticket is valid for 1 day entry to PortAventura and Ferrari Land. This ticket can be used on any date during your holiday! Your ticket is ONLY valid for entry into the park(s) mentioned above. This ticket does not include admission into Ferrari Land. 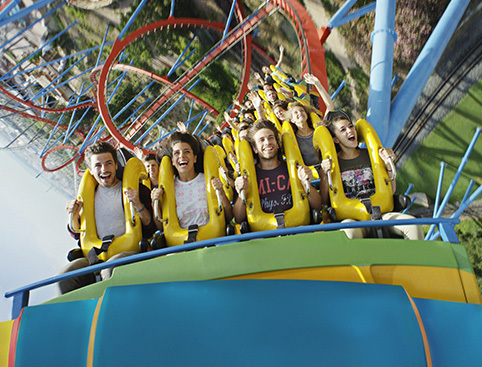 Our PortAventura tickets can be used anytime during your holiday! Tickets can then be activated at any time during your holiday. You’ll receive your e-tickets via email – print them off. This ticket is valid for 4 days entry to PortAventura Park to be taken within 7 days following the first visit to the park. This ticket is valid for 7 consecutive days entry to PortAventura Park. Night Ticket is valid from 22nd June to 7th September 2019 inclusive, for visits from 19:00hrs until Park closing. Don’t Miss: Riding Furious Baco – the fastest rollercoaster in Europe! The most exciting thrill rides at PortAventura theme park! The adventure of a lifetime awaits at PortAventura World theme park in Salou on the beautiful Costa Dorada! 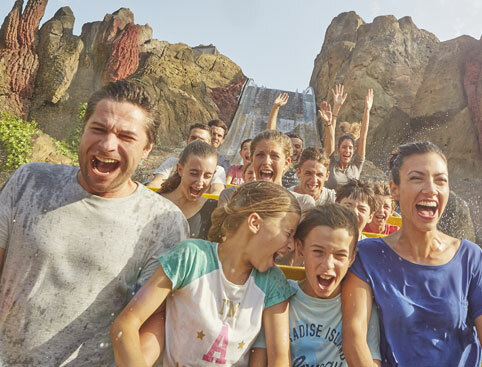 PortAventura World is one of the most popular theme parks in Europe, with thrilling award-winning rides, shows, coasters and more in 6 exciting themed lands. Where else can you begin the day in Mexico, travel through China, the Mediterranean and Polynesia and end up in the Wild West? Tickets are available from single-day entry up to a full week’s worth of fun, so you can choose whichever suits your holiday best! 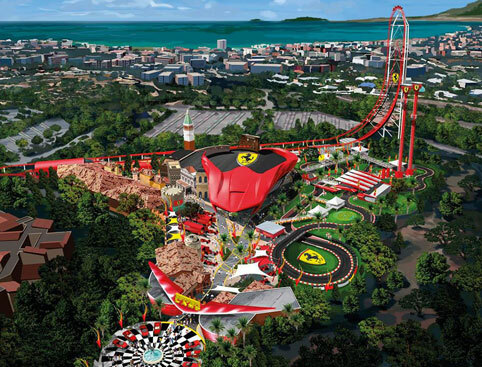 Don't miss Ferrari Land PortAventura! The ultimate Ferrari experience is now open at PortAventura World! Spain's most popular theme park! Some of our great value-for-money PortAventura tickets also include entry to PortAventura Caribe Aquatic Park, a Caribbean-themed waterpark that’s open from May to September! Experience the most exciting thrill rides at PortAventura - captured on video! Open daily from 6th April to 3rd November 2019. It will also open weekends and selected dates in November and December 2019, and January 2020. Open from 1st June to 15th September 2019. Opening dates and hours are approximate and are subject to change. For additional information on opening times, please contact the park before your visit. Admission is free for children under 4. PortAventura World is just over an hour from Barcelona airport and only 15 minutes from Reus airport. In some cases, children must be accompanied by an older supervising companion. All 6 themed areas are designed with easy access for wheelchair users. 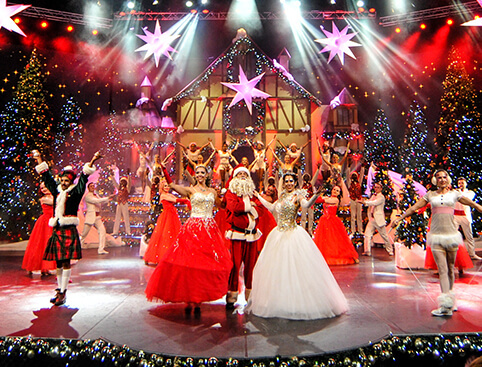 Most rides, shows and attractions are accessible for people with reduced mobility. Manual and electric wheelchairs can be hired on a first-come first-served basis. A reserved parking zone is available near the park entrance. 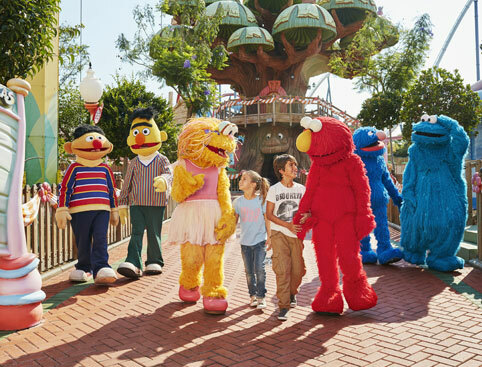 PortAventura World is a family park, so you are requested to dress respectfully. Swimming costumes, swimming trunks, bikinis and uncovered torsos are not permitted. PortAventura is just over an hour from Barcelona airport and only fifteen minutes from Reus airport. The full address is Avinguda de l'Alcalde Pere Molas, km 2, 43840 Vila-seca, Salou, Tarragona, Spain. The park has also has its own train station and a direct exit off the AP-7 highway – Exit 35. 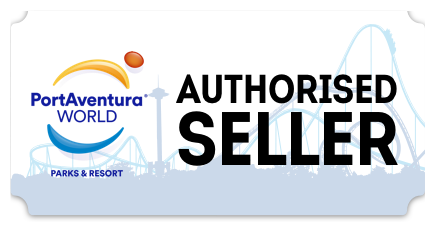 PortAventura World Tickets is rated 4.7 out of 5 by 326. Rated 4 out of 5 by Mr P from Great day! A little mix up with receiving tickets but sorted very quickly, Thanks. Rated 5 out of 5 by JulieMarie from Brilliant time I purchased a week ticket for Portaventura for our stay in Salou. Really easy to buy online before we arrived. We were staying a short walk away so went 6 out of the 7 days. We went first thing in the morning for an hour or so, left to do other things and went for an hour or so later in the day before closing time. Less queues and we weren't stood around in the boiling sun. We had an absolutely fabulous time. Rated 5 out of 5 by Sal from Brilliant Brought a 2 day pass from attractiontix for my family for October half term. Couldnt find a cheaper deal anywhere and so easy at the park - no queuing just walked straight through with the printed tickets they emailed me. Would definitely recommend both attractiontix and Portaventura. Rated 4 out of 5 by Oagie from Fabulous experience plenty of rides vast variety I purchased tickets for party of 6 had a fantastic couple of days. Booking of tickets was easy, however on arrival at venue stood in a long queue which was Un necessary but signage was unclear so lost alot of time due to clarity of as we had pre paid tickets. Rated 2 out of 5 by scotty1972 from Port Aventura World Tickets - First day we went to PortAventura was okay, when we went to go back two days later - we were told our tickets were invalid as they should have been used the next day Consecutive day tickets (our fault we misunderstood - the information on the ticket). We feel the information should have been more clearer. The result two very disappointed children (one was in tears)and us out of pocket by around £80, (we could not afford to buy new tickets) Staff at PortAventura could not careless and would not come and go with us that we had misunderstood the ticket. Our children were the main losers from a multi million pound theme park who could / would not or did not try to sort this out for us. Another thing that annoyed us was our children got stopped on the first day from going on a ride more than twice (??). I thought you could go on a ride as many times as you liked. I complained to PortAventura and there answer was someone was going to greet us at the gates - however we are now back home!! Warning to other people visiting Port Aventura please read the small print as there is no come and go with the staff at this Park.